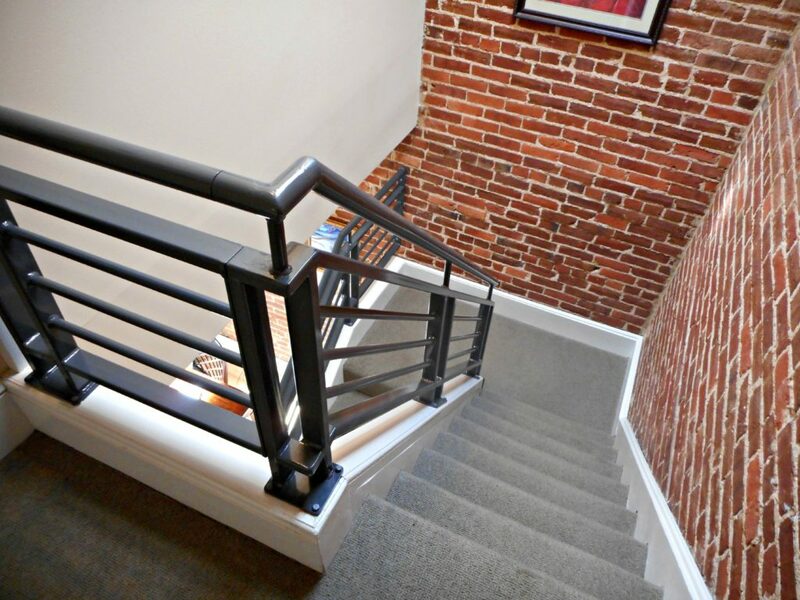 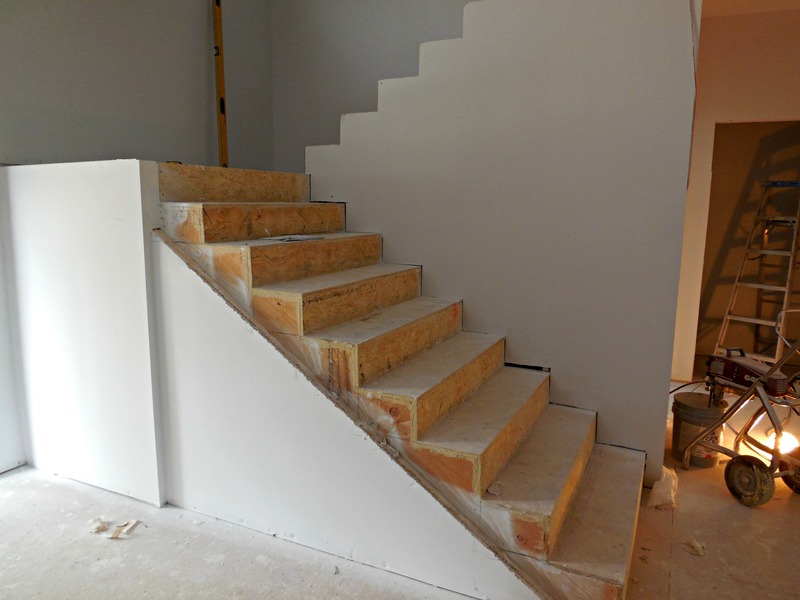 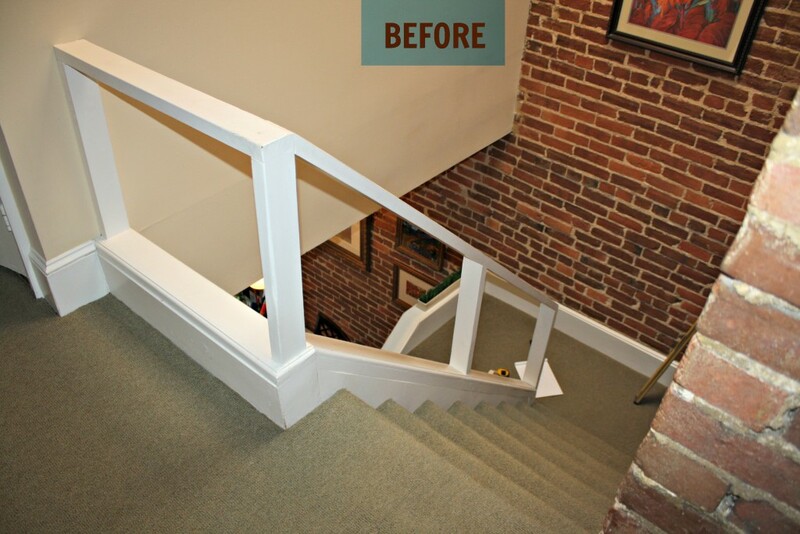 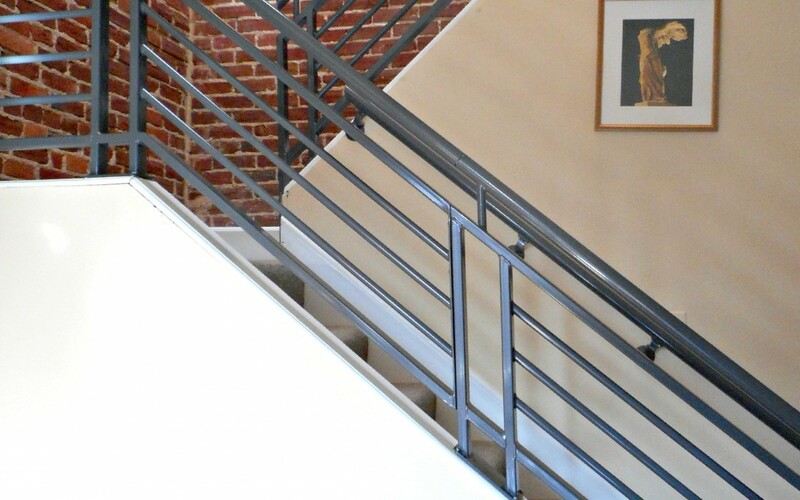 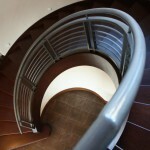 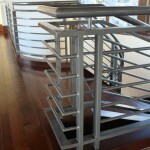 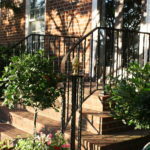 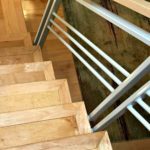 This historic town house on Capitol Hill, in Washington DC required new step railings. 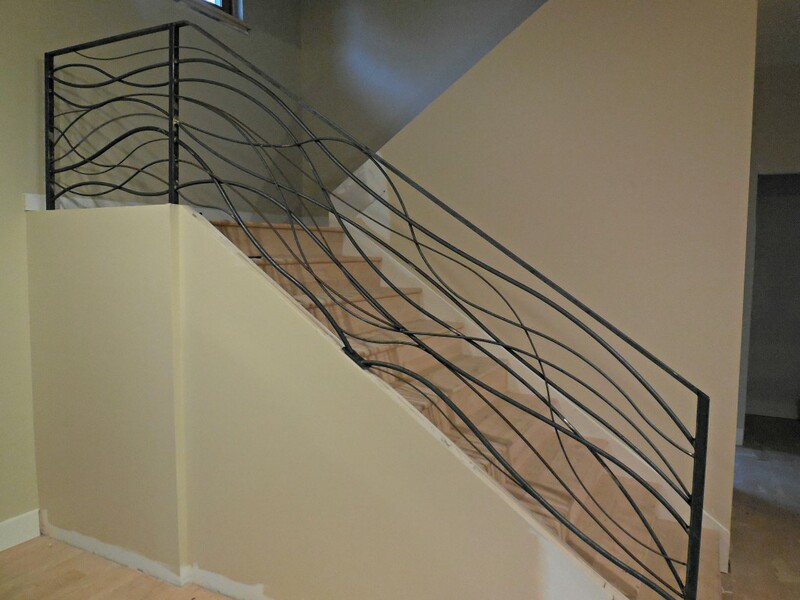 The previous railings did not provide adequate safety for the young family with a child that lived there. 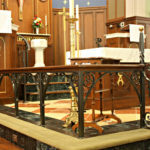 He was looking for a style in keeping with the modern restorations that had been artfully completed. 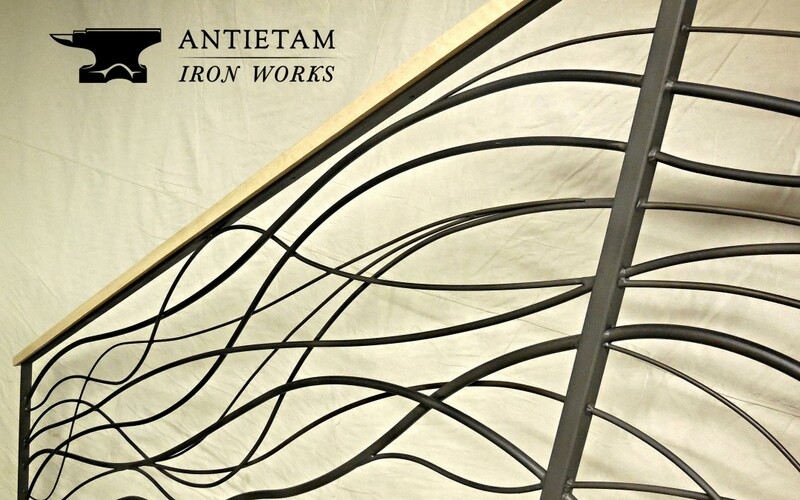 Antietam Iron Works executed these metal railings. 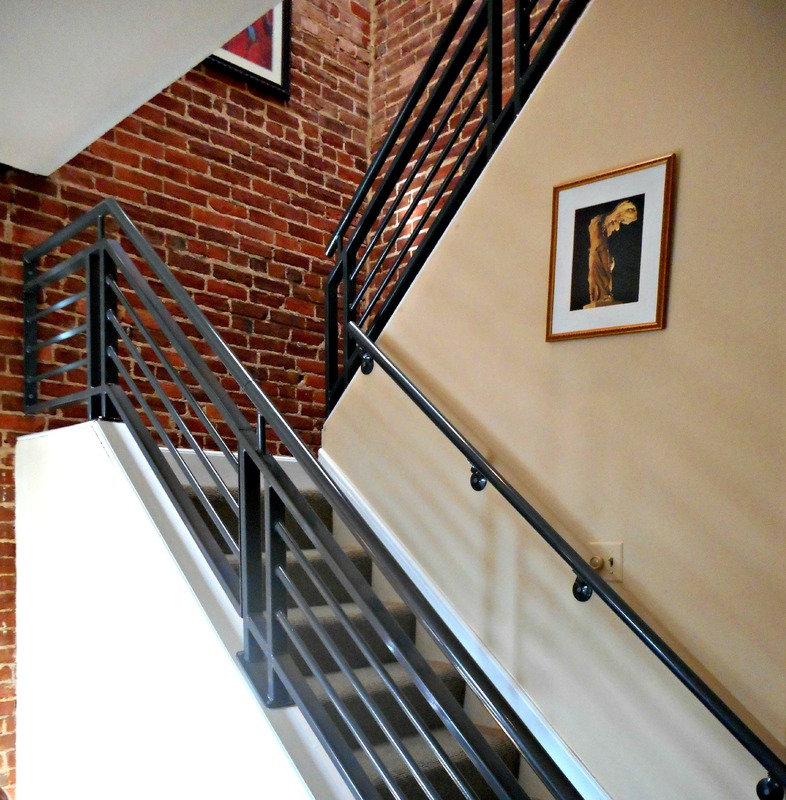 A great element against the exposed brick. 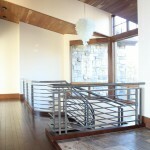 This project was for a newly built modern or contemporary passive home and needed to pass building code inspections. 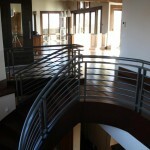 Our client showed us several photos of designs she liked and gave us freedom to create this project. 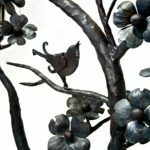 “I’ve seen your work and I trust your artistic eye,” she said. 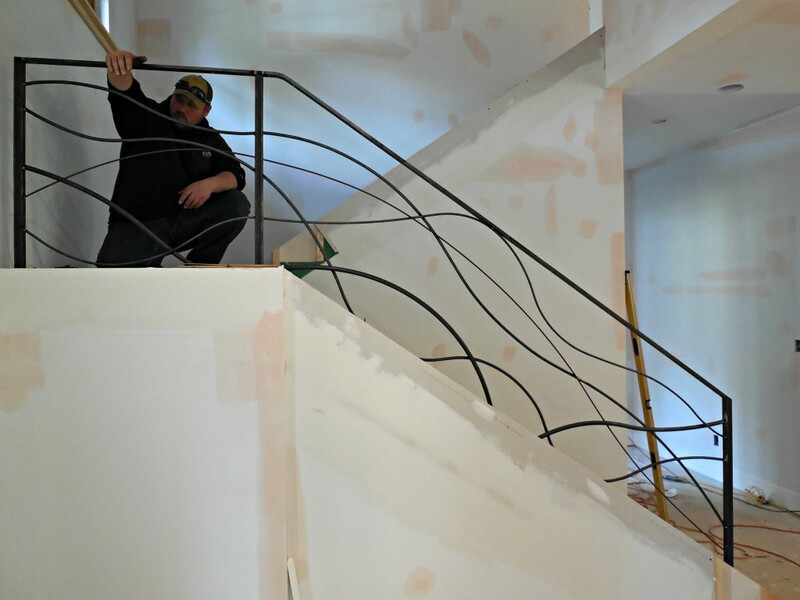 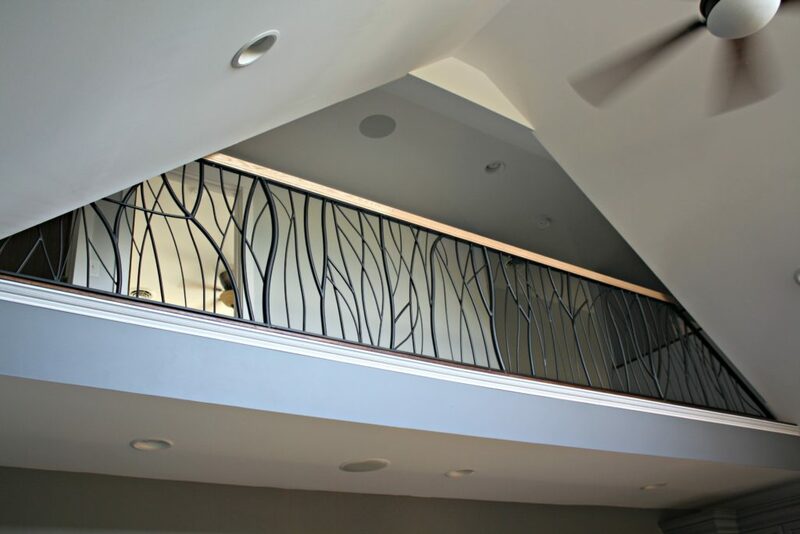 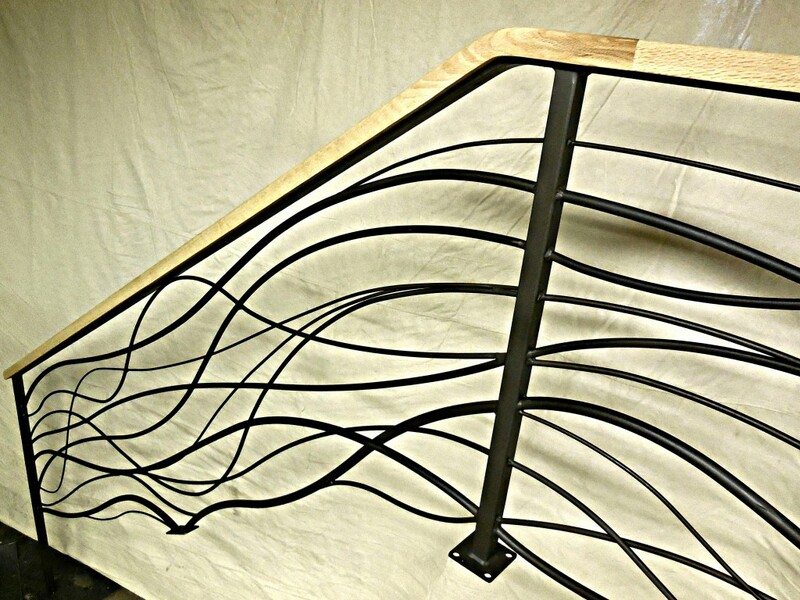 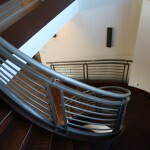 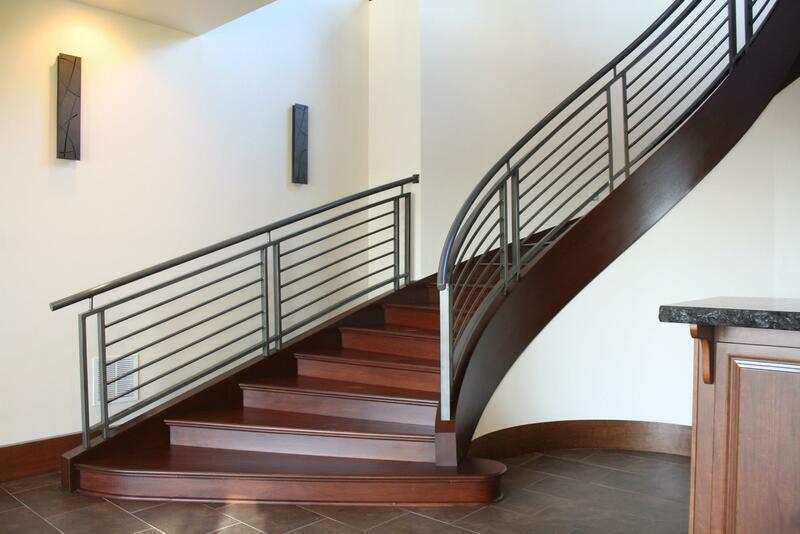 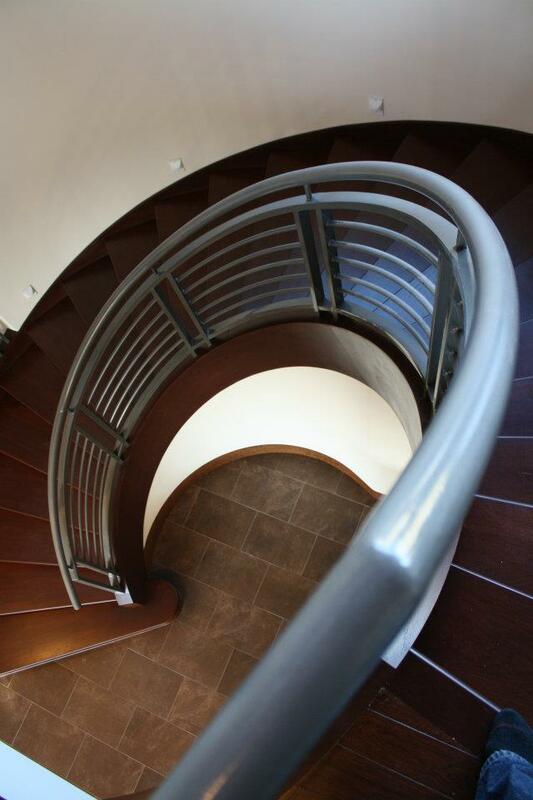 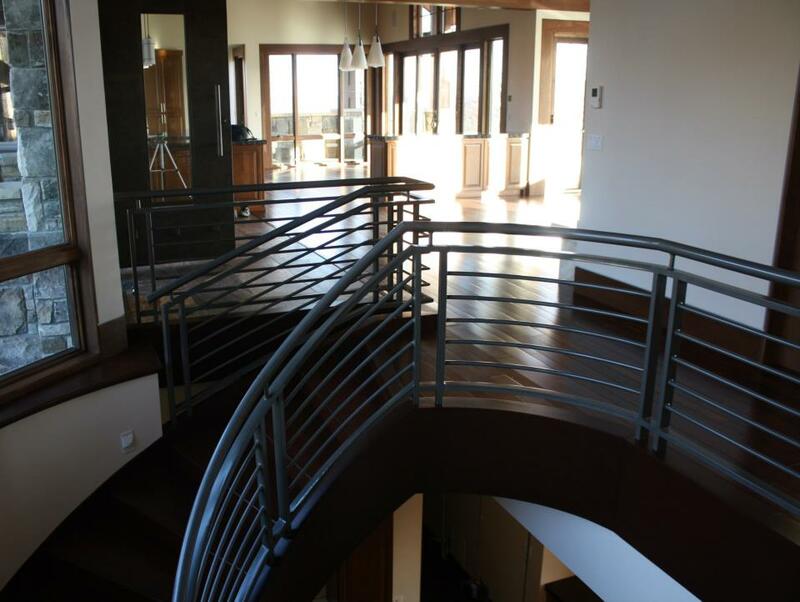 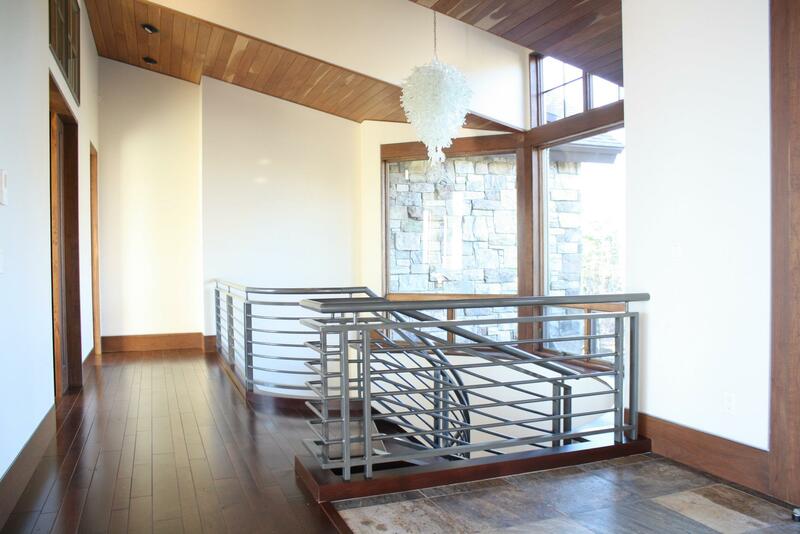 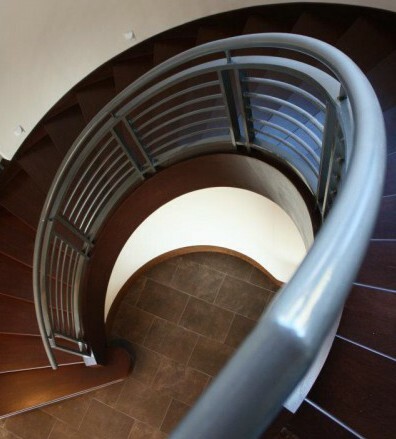 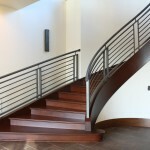 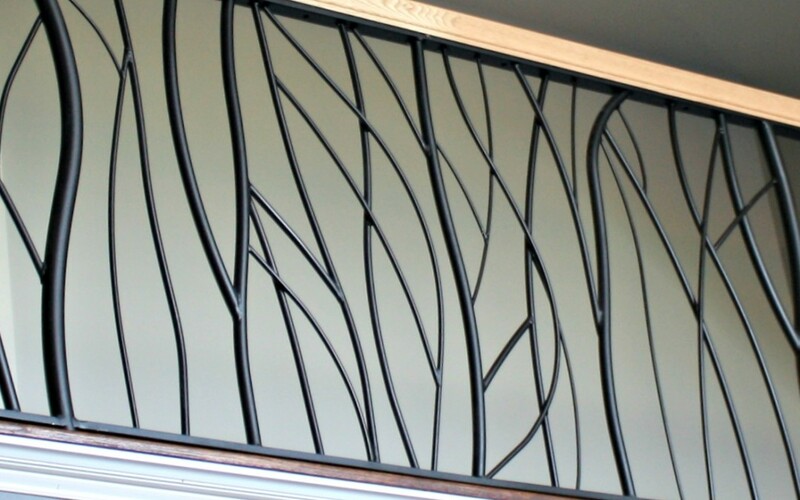 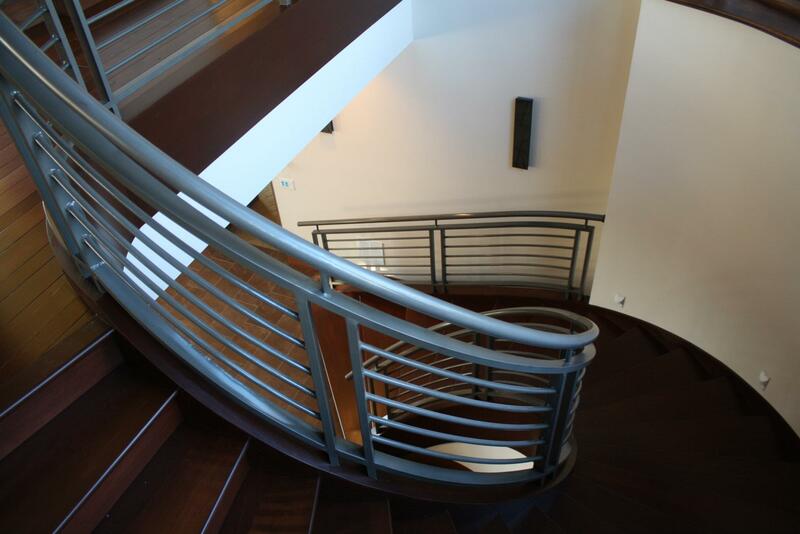 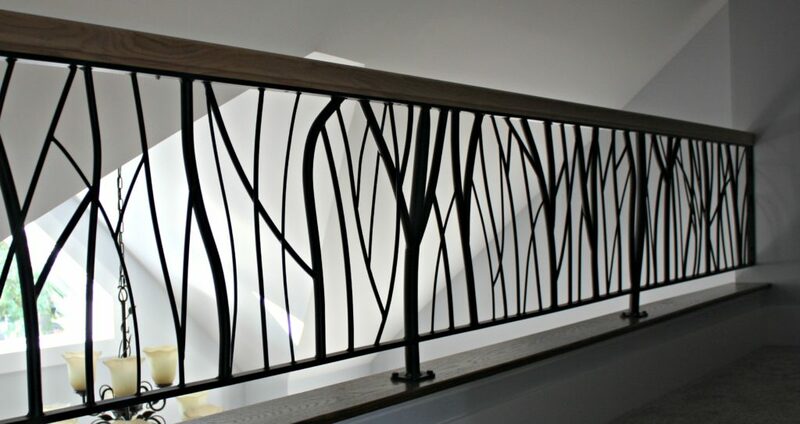 She was looking for the feeling of flowing water and wanted a custom wood handrail to contrast and warm the look overall. 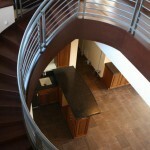 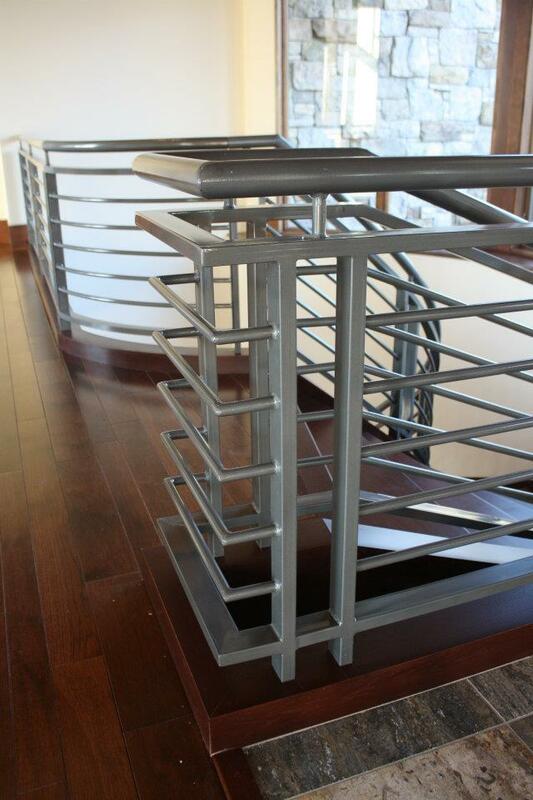 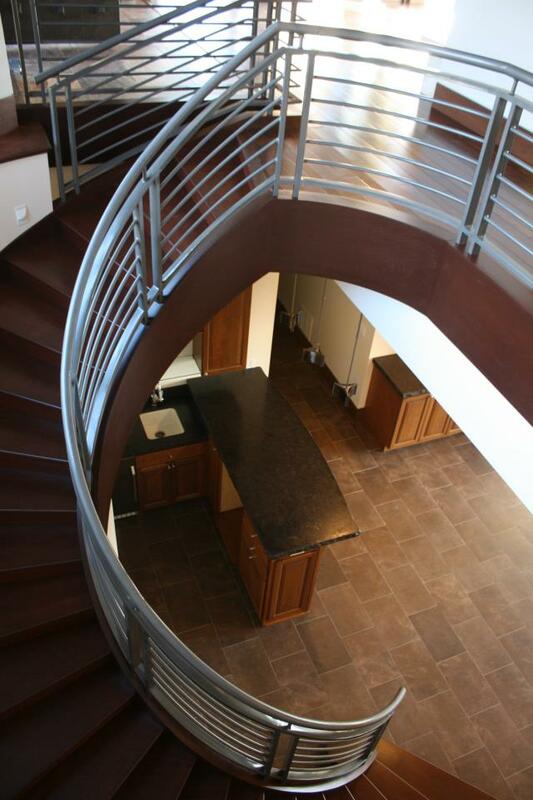 A local planning mill created the red oak hand rail to match the homes wood flooring. 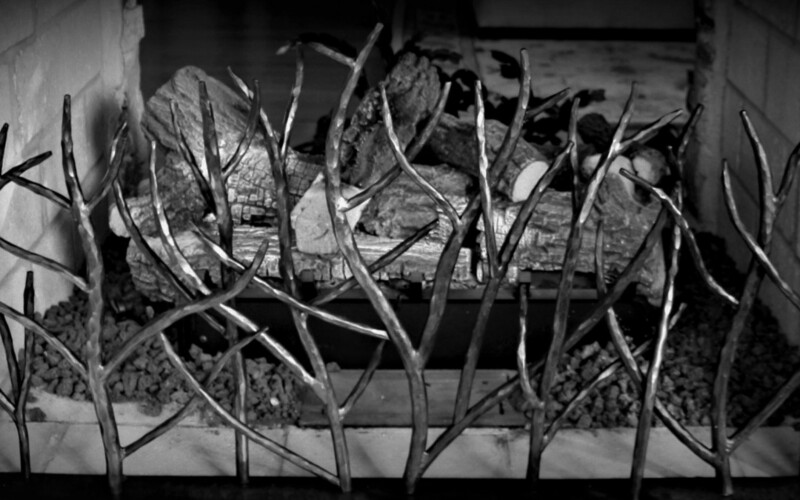 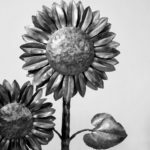 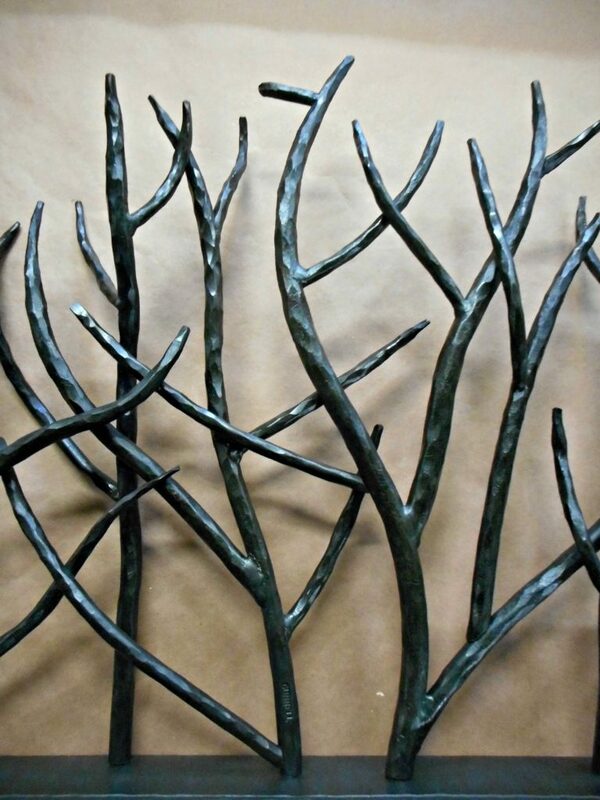 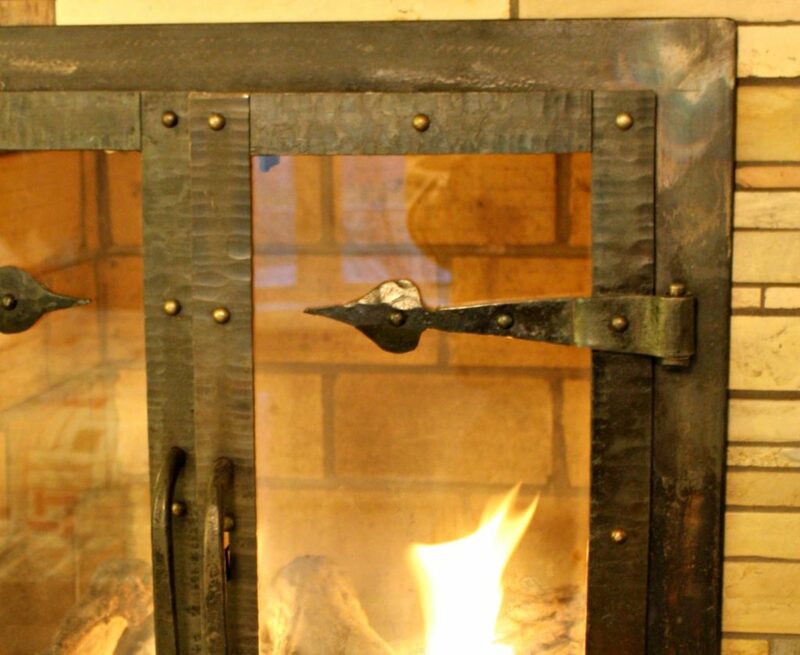 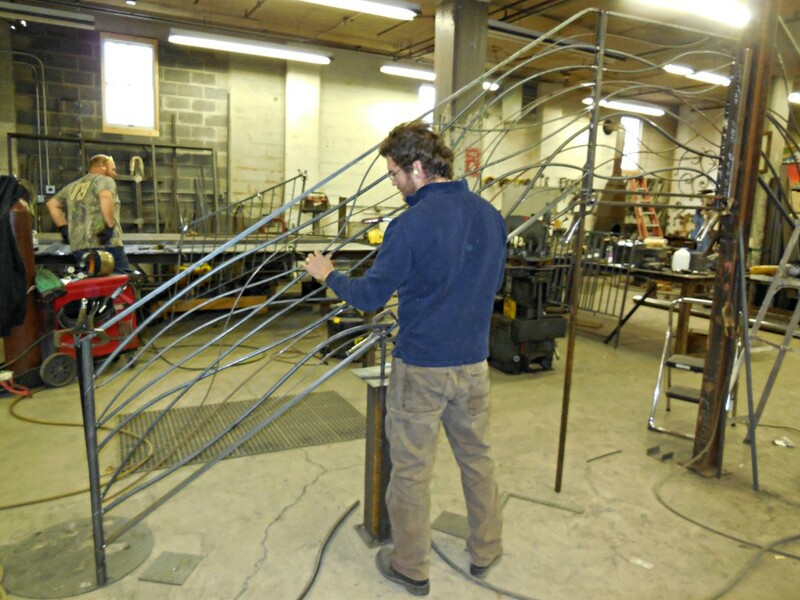 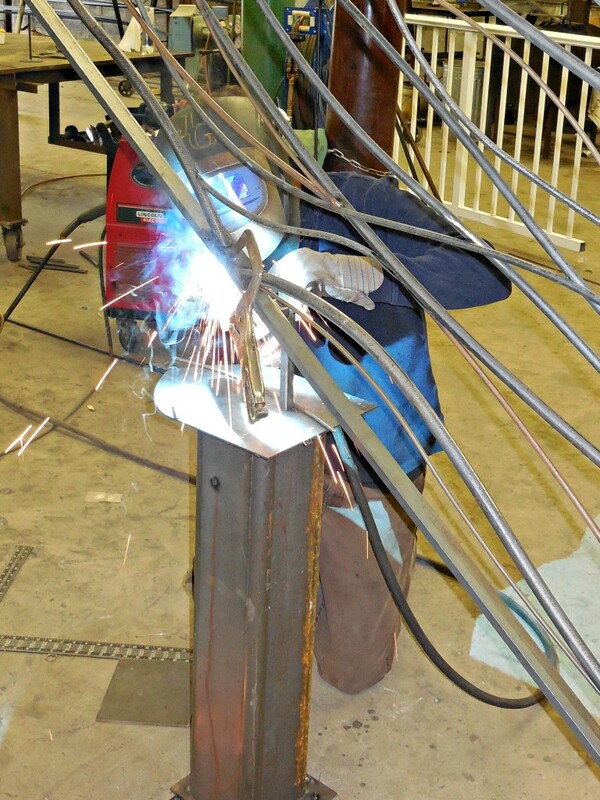 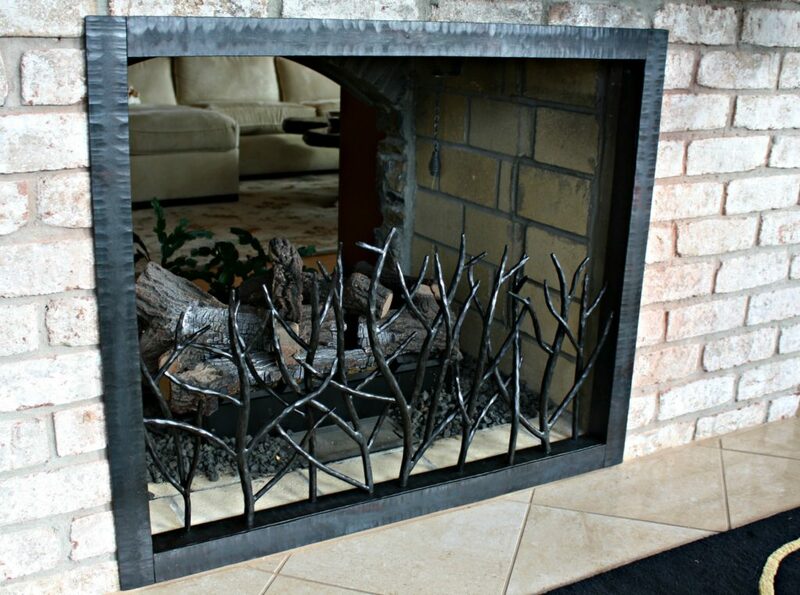 James Gunnell is welding the various sized materials to create this look and feel. 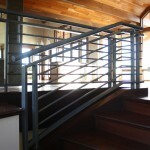 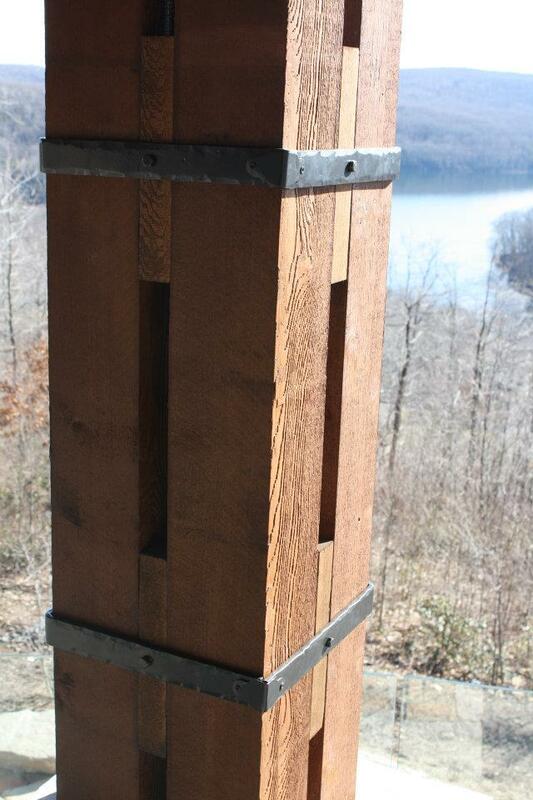 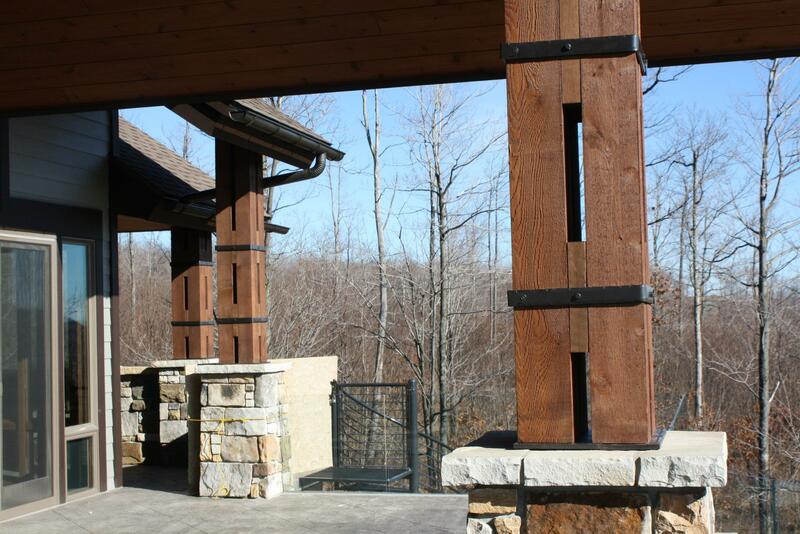 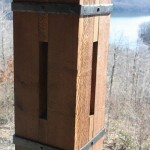 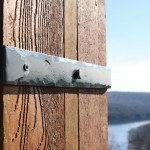 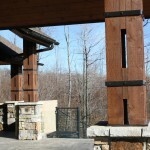 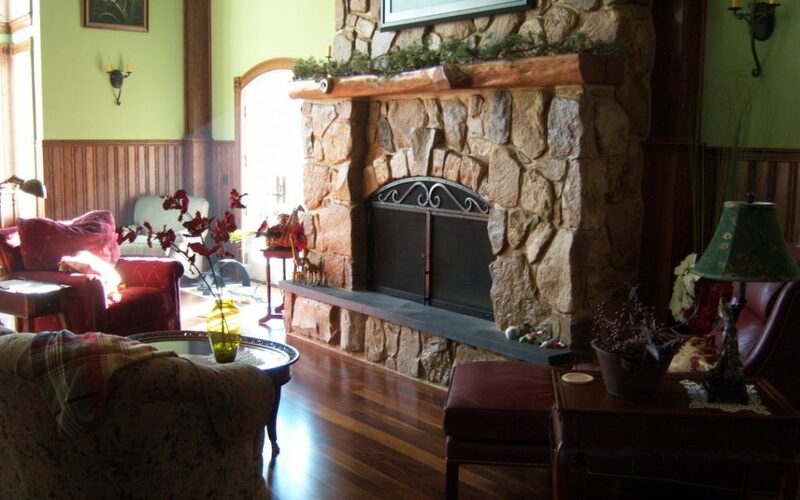 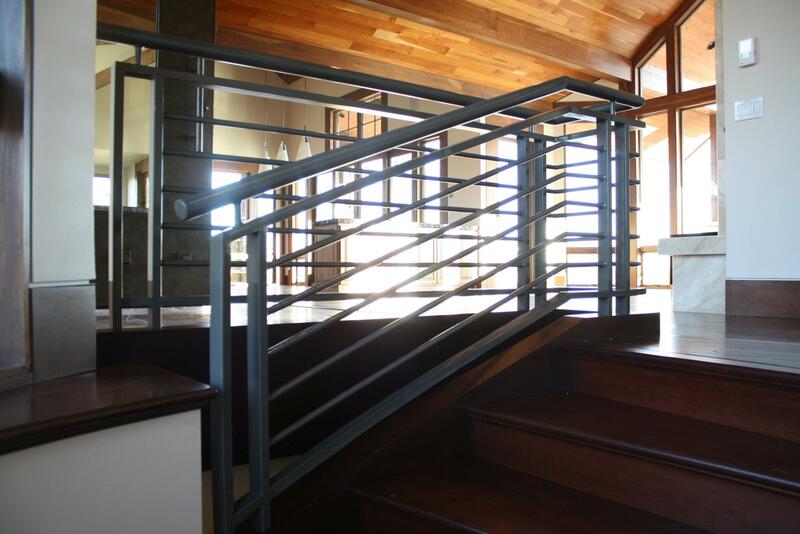 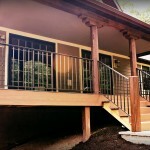 Here is a sample of some of our work at a local mountain lake home.